Earlier this month, the N.C. Clean Energy Technology Center (NCCETC) announced the results of a call for projects through the Clean Fuel Advanced Technology (CFAT) Project. The 2017-2018 $5.6 million initiative, focused on reducing transportation-related emissions, is supported with federal Congestion Mitigation Air Quality funding from the N.C. Department of Transportation (DOT). More than $1,100,101 is being awarded for ten projects to a variety of public and private entities. In total, the awarded equipment displaces 62,949 gallons of diesel/gas a year, reducing 54,042 kg of daily emissions. 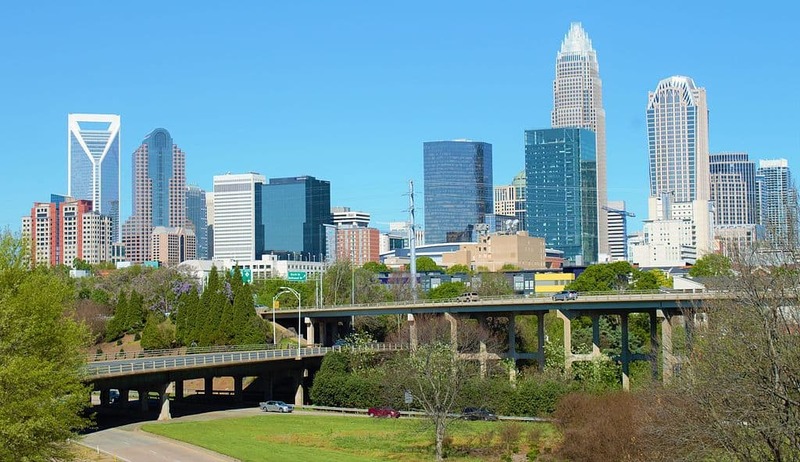 The City of Charlotte, a large municipality with a fleet of more than 3,400 vehicles, will convert eleven vehicles to run on liquid propane gas (LPG) to further the City’s greenhouse gas reductions. After the conversion, eight vehicles in the City’s Landscape Management Division and another three vehicles in Housing Code Enforcement Division will be able to run on either gasoline or propane, according to need, fuel availability, or economics. NCCETC estimates that this project will displace more than 7,200 gallons of gasoline per year. This project is part of a larger effort to champion vehicle efficiency and pollution reductions by the City: Nearly 22% of the City’s total fleet is alt-fueled, including 30% of their light-duty fleet. Davidson County Sheriff’s Office in Lexington, NC, will add three 2018 Zero Motorcycles to its Motor Division, each with a projected 25,000 annual mileage per year. NCCETC estimates that this use of electric motorcycles will reduce 3,938 kg total emissions annually. 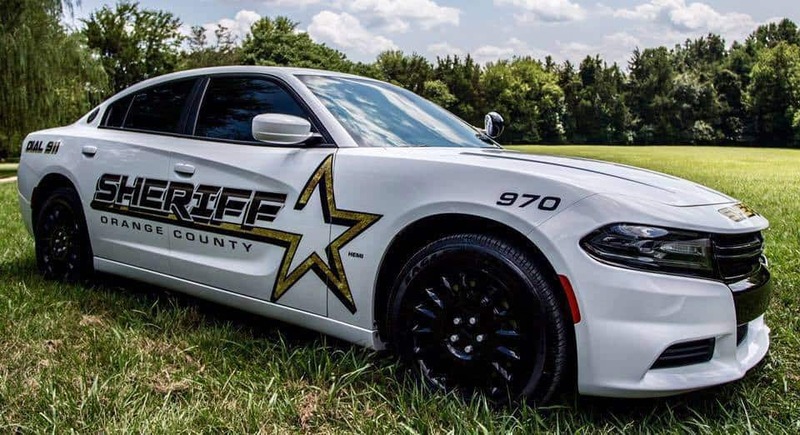 The Sheriff’s Department also plans to implement a data collection tool to capture mileage accumulation information, which will be compared to tracking of the Office’s existing gas fueled motorcycle fleet. The information will be used to determine the fuel economy as well as gallons of gasoline displaced. The North Carolina Department of Transportation (NCDOT) Rail Division in Raleigh, NC, has developed a specialized selective catalytic reduction (SCR) emissions reduction system that will be retrofitted onto a Piedmont passenger rail F59PH locomotive. The SCR system is known as a Blended Aftertreatment System, or BATS, and improves the locomotive’s emissions levels 55 to 80%. NCDOT’s Piedmont passenger rail service travels through nine counties between Raleigh and Charlotte, NC – Wake, Orange, Durham, Alamance, Guilford, Davidson, Rowan, Cabarrus, and Mecklenburg – all of which are indicated as EPA non-attainment for one or more pollutants (ozone, CO/CO2). The locomotive will be put into standard revenue service with an estimate of 300 days of use annually, and an expected annual mileage of 103,800 miles per year. NCCETC estimates this project will reduce an astounding 19,275 kg emissions and reduce demand for 9,000 gallons of fuel every year. This exciting project also delivers pollution reductions that are extremely cost-effective. The Orange County Sheriff’s Office plans to acquire an electric motorcycle, expanding the capacity of the specialized Motorcycle Unit to patrol County parks, trails, and greenways along with traffic enforcement, funeral escorts, dignitary escorts, and outreach and education events. The unit has been using gasoline Harley Davidson FLHP Electra Glide motorcycles, and looks forward to the addition of the stealthy electric motorcycle. The Orange County Sustainability Coordinator will work with the Sheriff’s Office to provide administrative support, tracking, and reporting on this project to estimate and publicize pollution reduction benefits. Orange County has been diligently working on their fleet to improve fuel economy and reduce transportation pollution for years. In 2018, the County reported more than 11% of their fleet being alt-fueled, including 23 hybrids and 15 bi-fuel propane vehicles. Orange County owns and operates 16 Level 2 electric charging stations, and hosts two DC Fast Charge stations in Hillsborough and Chapel Hill. Thyssenkrupp, an elevator company with a large fleet of light-duty maintenance vehicles, plans to convert seven vans and a truck to reduce pollution emissions in Mecklenburg County. In Charlotte, NC, six 2018 Ford Transits and one 2018 Ford F-150 will be converted to run on either liquid propane or gasoline. The vehicles will be able to run on either gasoline or propane, according to need, fuel availability, or economics. NCCETC estimates that this project will displace more than 13,000 gallons of gasoline per year. This is part of a larger corporate shift: Nationwide, in the last four years, thyssenkrupp has reduced their fuel use by over 2 million gallons by right-sizing their vehicles and by moving towards alternative fuels like propane and electric. Locally, the project will be implemented in cooperation with fuel provider, Alliance Autogas, who will help thyssenkrupp establish necessary propane refueling infrastructure. 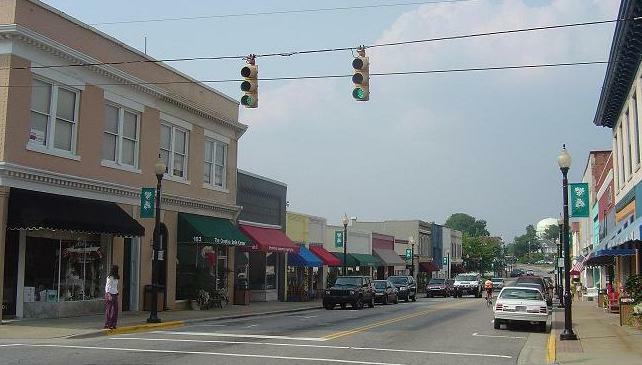 The Town of Apex, NC, a rapidly growing municipality with 302 vehicles and over 201 pieces of equipment, will retrofit three bucket lift truck vehicles with electric PTO (power take-off) units, allowing the trucks’ diesel engines to reduce idling while operating on overhead utilities, signs, and signals. By greatly reducing diesel truck idle time, these electric PTOs will significantly reduce vehicle emissions, improving local air quality and the health of bucket truck operators and workers as well as reduce engine maintenance costs. The Town will meticulously collect fuel and mileage data on each vehicle in operation. By comparing these to historical data, the Town will be able to clearly quantify the benefits of this technology, both in terms of fuel usage and reductions in vehicle pollution, thus estimating the project’s positive effects on air quality in Wake County. 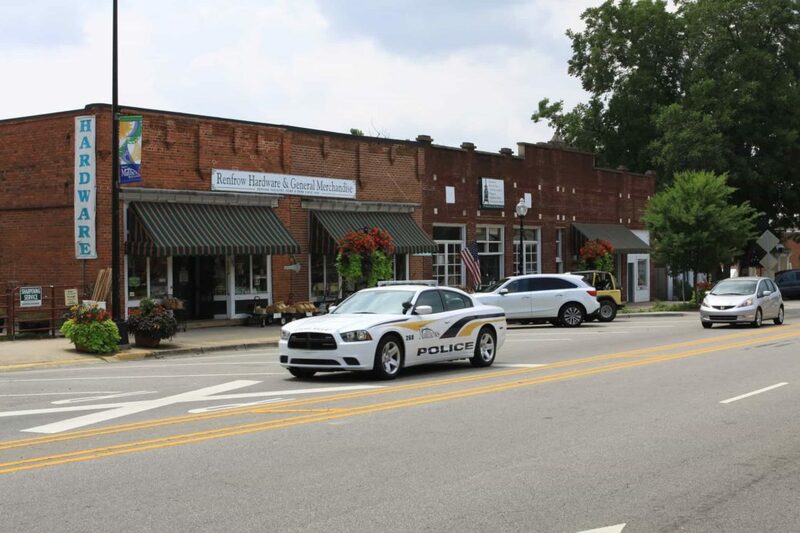 The Matthews Police Department is purchasing an electric motorcycle in order to diversify their fleet, giving them an efficient and environmentally conscious means of accessing and patrolling areas that conventional vehicles cannot reach. An electric motorcycle will allow MPD to promote safety and environmental protection to pedestrians, cyclists and others in areas such as the Four Mile Creek Greenway, a paved multi-use pathway that is popular for area hikers, bikers, walkers, and animal lovers. The electric motorcycle will displace a 2008 Ford Crown Victoria patrol car, currently getting 18 miles per gallon of gasoline. The University of North Carolina Charlotte (UNC Charlotte) in Mecklenburg County will replace one heavy duty bucket truck with a hybrid vehicle, and conduct a hybrid electric conversions on one 15-passenger van to reduce emissions per mile. They will also purchase new bi-fuel light duty trucks to run blends of ethanol. 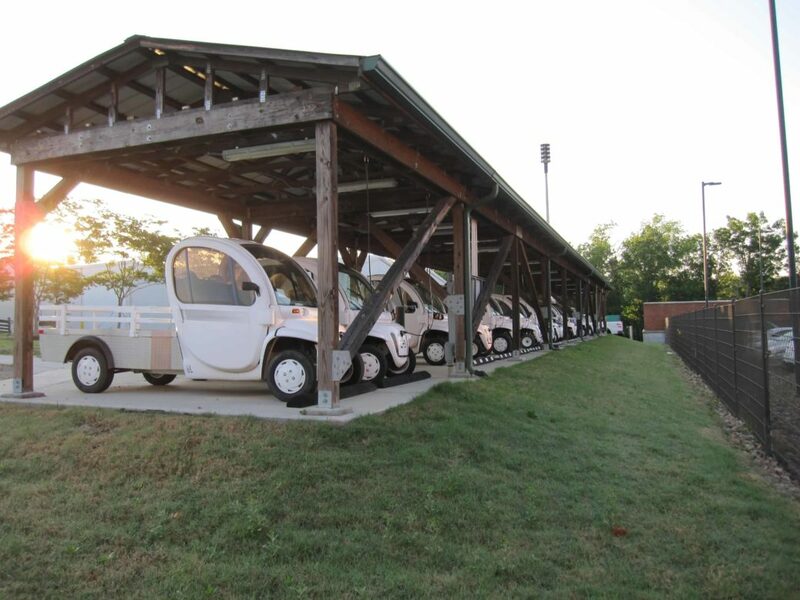 These replacements and up-fits will allow the campus to build on its successful fleet hybrid electrification that began as part of the state Petroleum Displacement program, which includes a fleet of over 100 GEM electric vehicles and awards for maximizing the use of E-85 in flex-fuel vehicles. NCCETC estimates these replacements and conversions will result in 53,975 kg total emissions reduced annually. Carbon monoxide and nitrous oxide reductions are estimated to cost only $2.25 and $2.10 per kilogram per year. 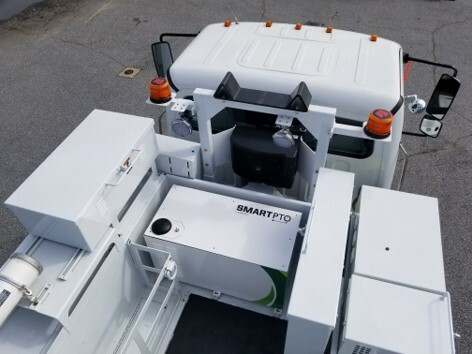 Viatec, a Pittsboro NC company (with locations in Greenville SC and Northern California) will retrofit 12 bucket lift truck vehicles with electric PTO (power take-off) units in NC municipalities with significant air pollution, including Winston-Salem, Greensboro, Charlotte, Raleigh and Cary. This electric PTO allows bucket truck crews to turn off their engine and perform work in a safe, clean and quiet environment, benefiting the owners, operators and the communities in which they work. By greatly reducing diesel truck idle time, these electric PTOs will significantly reduce vehicle emissions. NCCETC estimates that bucket trucks burn nearly a gallon of diesel fuels per hour of idling. Based on an industry study conducted by Quanta Services (Green Truck Show March 2018), an electric PTO system is estimated to save about 1800 gallons of fuel annually, in standard operations. In addition, eliminating the idling on the truck engine also reduces carbon emissions to the tune of almost 38,000 pounds of CO2. The noiseless operation of systems creates safer operating conditions for the crew and the reduced wear-and-tear on the truck engine extends the truck life. This electric PTO is built around an EPA Certified production hardened electric power train and is “Buy America” compliant. The unit is fit for utilities, tree service, sign and light companies and other aerial device application. Industry proven and tested components deliver a reliable and near maintenance-free solution.